Oh we have all been there. First nice day and we go from zero activity to a full throttle marathon. Then lo and behold the dreaded day after arrives. Sore from head to toe we hobble along realizing that had we conditioned ourselves first, we would not be in this predicament. Well the same goes with our four legged friends. With the warm and sunny weather finally here, we need to keep this in mind. 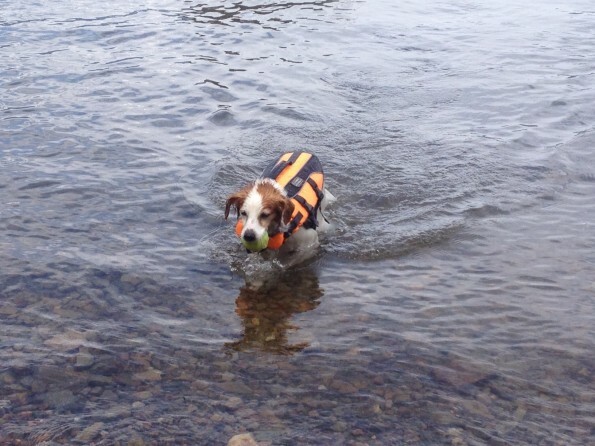 Our pet’s muscles hurt after sudden long sessions of swimming or hiking without initial conditioning. If your pet has exercise induced pain, do not reach into your own medicine chest. Human medications may harm your pet. Always consult with your veterinarian for appropriate treatment.